Dr Pervez Ahmed Khan has long standing repute and has been performing endovascular treatment of brain aneurysms, Brain and spinal AVM’s and AVF’s, Head and neck tumor embolization, Acute stroke, Carotid and intracranial arterial stenosis. Minimally invasive brain surgery including neuroendospic surgeries and transnasal brain (pituitary surgery) minimally invasive spine surgery. Pediatric craniosynostosis and spina bifida. Other general neurosurgical diseases like brain and spinal tumors and trauma. He graduated and obtained Masters degree in Surgery from Govt. Medical College Srinagar. After completing Registrarship he served as Senior Resident Neurosurgery at Sheri Kashmir Institute of Medical Sciences Soura Srinagar for 6 years. He obtained ECFMF certification and was accepted for a 2 year fellowship training programme in Pediatric Neurosurgery at Children’s Memorial Hospital, Northwestern University Chicago (USA). He then completed one year fellowship in Onconeurosurgery from University of Virginia Charlottesville (USA). He persued 2 year additional training in Interventional/Cerebrovascular Neurosurgery at University of Virginia and returned to India. 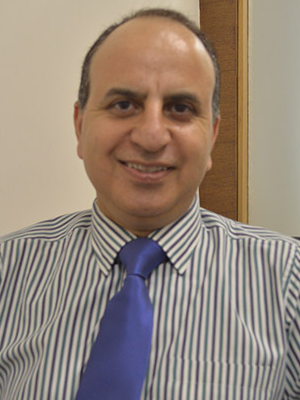 At present he is working as a Senior Consultant Neurosurgery/Neurointerventional Surgery. His main interest is in Interventional neurosurgery. He also treats brain and spinal tumors, spinal degenerative diseases and trauma. He does minimally invasive/endoscopic brain and spine surgery. > Fellowship Pediatric Neurosurgery, Northwestern University Chicago, USA. > Fellowship Onconeurosurgery, University of Virginia(UVA), USA. > Fellowship Cerebrovascular and Interventional Neurosurgery, UVA, USA.